The T-34/76 was the best all round tank in 1941. It was originally just called the T-34 until the T-34/85 arrived. Its new radical use of sloping armour and being fitted with a good anti-tank gun meant that it could dominate a battlefield, especially as the Soviets deployed it in massed waves of armour. The German anti-tank guns and the Panzer III and IV main cannons had difficulty penetrating the frontal armour on the T-34 tank. Most rounds bounced off. The T-34 was given its name in honour of the 1934 Soviet State decree that ordered a massive expansion is Soviet tank forces. The letter T stood for the word tank. Two prototypes were ready by January 1940. 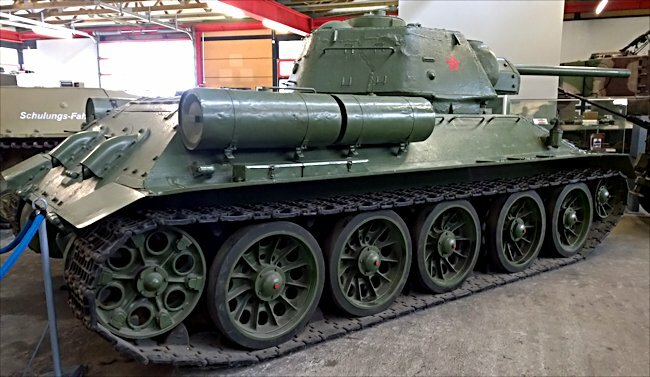 Mass production of the T-34 tank with the 76.2mm L-11 gun commenced in June 1940 and started to be issued to tank Battalions in September 1940. It had a crew of five, two 7.6mm machine guns and 45mm of sloping armour at the front. The armour on the turret was also angled to give added protection. Angling armour increased the amount of actual metal plate an enemy armour piercing shell had to pierce without adding extra weight. The steeper the angle the more metal had to be penetrated. Notice the amount of infantry hand grip handles welded to the body and the turret on the T-34/76. It was expected that Soviet tanks would carry infantry into battle. It also meant that a number of shells would be deflected off the armour. 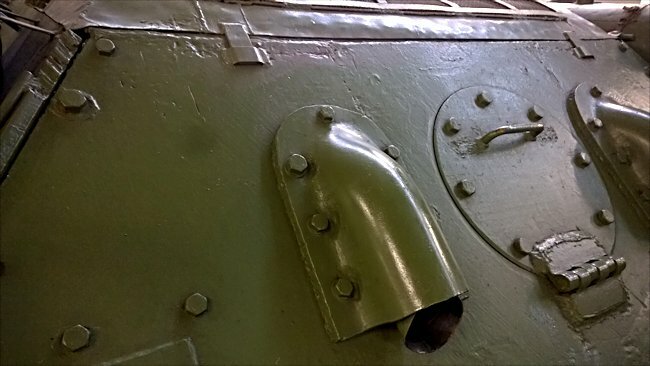 The Soviet were the first to use this protective technique though the front of the American Christie Light tanks the Russians purchased in the 1930’s had an angled front. 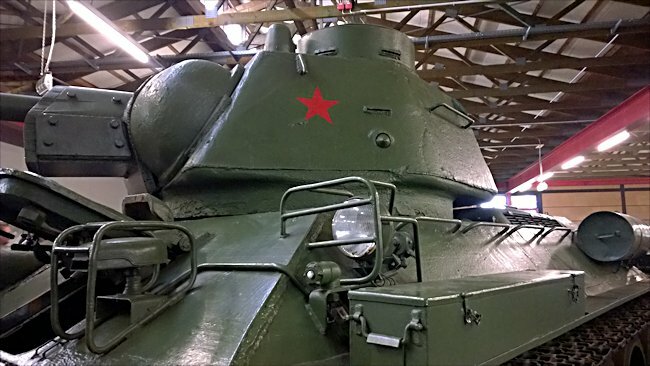 This tank was copied and formed the basis of the BT series of tanks that was the forerunner of the T-34. In 1940-41 there was nothing to compare with this tank in any Western Army. It was ahead of its time and changed the way tanks were developed. Some foreign Armies quickly learnt the design lessons the T-34 presented. The Germans incorporated wide tracks and sloping armour on most of their later main battle tanks like the Panther and King Tiger, as well as on nearly all there jagdpanzers. The British and Americans were a lot slower to change their tank designs. The T-34/76 tank made its battlefield debut in June 1941 fighting the advancing German panzers that were invading Russia as part of operation Barbarossa. A German army of three million men crossed the Russian border. The Army divided into three attacking groups, North, Centre and South. Army Group North was ordered to take Leningrad. Moscow was to be taken by Army Group Centre whilst Army Group South headed for the Ukraine and the oil fields. On paper the Soviet army looked formidable with 21,000 tanks compared with the German’s mere 3,300 panzers. After a string of victories in Austria, Czechoslovakia, Denmark, Poland, Holland, Belgium and France, Hitler’s troops were used to crushing their enemies quickly. The arrival of the new T-34/76 tank was devastating on their planed invasion time table. The German infantry’s 37mm and 50mm anti-tank guns could not penetrate the front armour of advancing T-34/76 tanks. The only gun that could stop this new Russian Tank was the 88mm FlaK gun but because it was such a large unarmoured target the crews were at risk from high explosive shell fire from the Soviet T-34 tanks large gun. They nearly had the same operational range that they could fire at each other from a long way off. The upgraded Panzer III and IV tank crews found that they could not penetrate the T34/76 tanks front armour. This was an enormous shock to the Germans. During the counter attacks against the German’s panzers in 1941, nearly all the T-34 tanks that were deployed were lost. Most were destroyed by their own tank crews after they had either run out of fuel, ammunition or had a mechanical breakdown on the battlefield. The crews could not leave their new tanks to be captured by the enemy so they set fire to them with a phosphorous grenade. The Germans lost one panzer for every six T-34 tanks knocked out by direct fire. The main reason for this was the professional training and high skill levels of their battle hardened tank crews. Some of the Soviet crews had less than five weeks training there were some reports that state certain crews had only one hour of training. The crews were learning on the job. Many T-34/76 tanks were knocked out by Luftwaffe Stuka dive bombers, a weapon they had no defence against. Every German tank on the Eastern Front had a radio. Command and control of Soviet tanks was problematic. Many of the crews were illiterate. 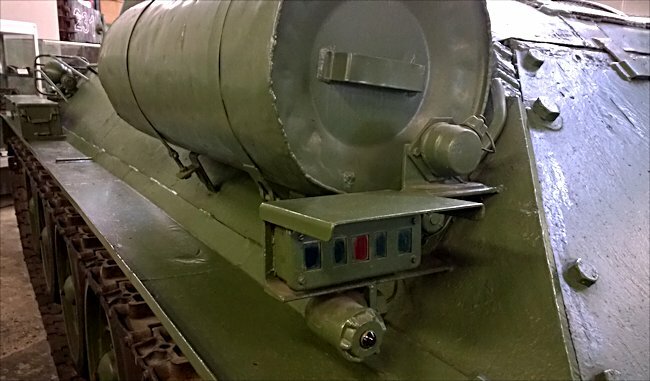 In 1941 Soviet command tanks had radios but the rest did not. A Soviet troop commander communicated orders to the rest of his tanks by waving flags out of his tank’s turret hatch which was not very effective in the middle of a tank battle. Some commanders just gave up and went with the ‘follow me’ approach, but with the commander at the front there was a good chance he would be in the first tank to get knocked out. The idea of using tactics was not practical. This is why the mass wave or armour attacking together against one easily defined front method was used so much by Russian tank formations. German Army Group Centre stopped just 25km short of Moscow when the bad Russian winter weather hit. The German panzers had problems moving through the deep mud and thick snow. The T-34/76 tank with its agile Christie suspension, wide tracks and low ground pressure remained mobile. The Christie suspension did not pack with ice as easily as the German tanks system. Again Soviet tank engineers had used simple ideas to great effect. These design features would be copied and incorporated in the Panther and Tiger tank chassis. As a temporary measure metal track extenders were developed and issued to all tank crews but these often broke off. As the winter weather got colder the Soviet Red Army began to benefit from a tank that was designed to cope with extremely cold weather unlike those of its enemies. It’s V12 engine ran on diesel that had a lower freezing point than petrol engines used by the Germans. 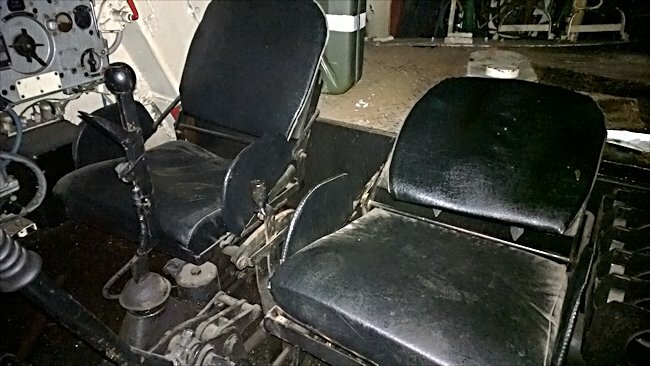 There was no need to light wood burning fires under the T-34’s engine to get it to start. The tank crews were issued with adequate supplies of engine anti-freeze lubricants and special cold weather gun grease that could cope with temperatures of -40° unlike the Germans.